Photo: bizjournals.com “When I took over majority control of the team, one of the biggest impacts I wanted ... was to reconnect back to the community,” Jordan told volunteers gathered for the Hornets' annual day of community service. 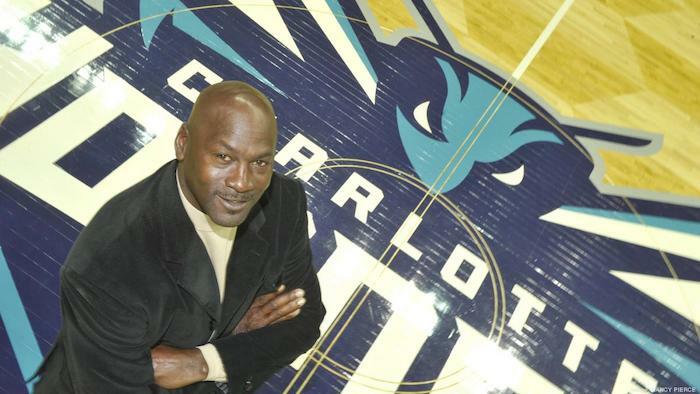 “I felt that connection was lost a little bit with the previous ownership, and I felt it was very important.” According to the Charlotte Observer, Jordan and the Hornets have "given away more than $3 million for causes related to education, hunger, wellness and the military" since Jordan took majority ownership of the team. “Six years later, here we are. ... I am very proud of the commitment of the organization to the community. ... My dedication, my drive, is to continue to connect with this community,” Jordan said. Three of the libraries will hold 1,500 books each. The other 15 will hold 500 books each. Loving Blavity's content? Sign up for our daily newsletter and never miss a headline.